UPDATE: Ok, what I am going to do is this. I will hold a multiple race series on FM4, the car will be decided upon for each individual race. It will still be a spec style, with a set build for all cars and open tune for the settings. For the first race, we will go with the BMW E30 M3. This will give us time to decide upon the car for the second race in the series. I will sort out a points structure shortly, and update this post again when I have decided upon it. The first race will be held on the ring, qualification will be help on the Nurburgring GP track (same as FM5). I will still run a race on FM5 also, and I may make it a series too. I am undecided at this point, as unsure how much interest there is for FM5 at the moment. I need feedback people, lol. The race will still be held on Nords+GP, with qualifying held on the GP track. I would also like 2 staff members now. This will allow me to have 1 person helping me with FM4, and 1 person helping me with FM5. Please apply if you wish to help. 1: Helping with creating a spec car build. 2: Helping to organize practice sessions. 3: Helping with people's qualification laps. 5: Reviewing replay data of races. 6: Helping to resolve disputes. 7: Grid placements on race day. More may be added later on job roles. All staff members forgo qualifying rounds, and must start at the back of the grid. This is to ensure fairness between other racers and staff. I would like to propose a little get together between the users on here that have FM5, and to have a little race around the Nordschleife+gp. I was thinking of about 3 to 4 laps, or perhaps a few more if people want. The race would be a spec race, with one car, with a set but drivable build, with an open tune (to be posted on here once a car has been decided upon). The open tune is for customizing the final tuning settings for personal preference (suspension, gears, tire pressure, diff). The build itself will have race slicks, race roll cage, and race weight reduction. Along with Race clutch and transmission, and forza aero. This is ultimately a track race, and the rules will reflect that. As for the car, I would like something from the range of road cars available. Car class isn't important, as the cars weight, balance, and engine output will be taken into consideration during the building process. The race cars in Forza are a bit "meh" in my opinion, and there is far more variety in the road cars. For anyone who isn't that great at tuning the individual settings, a tune will be made available on my sharefront. The reason I would like to set a race up this way, is to have it ultimately about an individual drivers skill. And ample time would be allowed for people to practice with, hopefully in a group setting so we can get used to been on track with each other. Simulation damage would also be on, with TCS/STM/ABS forced off (like a real world track race). But driving line will be the individuals choice. I know that there are people like myself who play countless other driving games, and a track like the Nords is hard enough to remember as it is. But if people want, I am not opposed to having the driving line forced off also. I would like to do a qualifying session also, but only around the GP track. This is to save on time, and there will be plenty of practice time around the full track before the race. Will will have to manually line up for the race though, what with Forza not having a qualifying mode. Set car and build, once decided upon by the community on here. P.I, weight, HP and Torque will be set in the lobby settings. No corner cutting, replay will be viewed after the race has taken place. Anyone repeatedly corner cutting will be disqualified. Disputes must be settled with video footage. With the X1 DVR, this will be easy enough to do. And it will also pay for everyone to save the replay footage after the race as well. What may seem like a crash on purpose, could just be an innocent accident. Disputes will only be discussed after the race has finished, and only in private messages. Microphones are a requirement of the race, but you do not need to keep the mic active for the entire race. It will help when passing someone though, if you can let them know which side you are going to take; but not essential. It is up to the overtaking driver to make a clean pass though. All drivers must provide adequate racing room. Anyone who has a good enough internet connection is welcome to stream the race itself to twitch. Again, this is very easy to do via the X1. If you dont have the best connection in the world however, it would be best if you left your internet connection to just the racing and FM5. Very happy for people to make montages of the race to put on youtube also, but I do understand that the camera angles in FM5 are not the best. Qualifying has to be done through myself, unless someone is interested in helping. Each driver will be given 5 laps, plus 2 warm-up laps. Your fastest time on the GP track will decide your place on the starting grid for the race on the nord+gp. I do require at least one person to help me organize this, as well as to help judge the replay after the race, and to help build the car. Please PM if you are interested in being a staff member for this race. You will be able to race also, but staff members will be required to start at the back of the track (same with myself). This is not the ideal setup, but with the lack of a spectator mode in FM5. It would be all to easy to falsify our qualifying times. Just means myself and staff will have to work harder at the race. I would also like Koolaid to be a part of this, your great at video editing. And it would be awesome to have a good racing vid we can share between our channels. 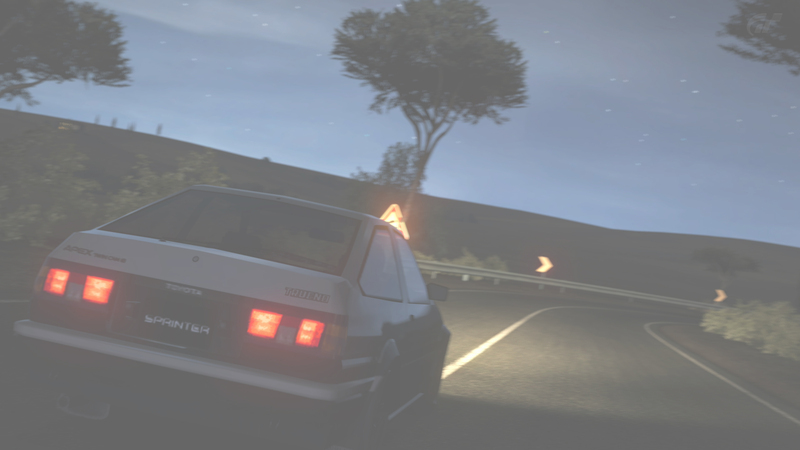 It could provide some good exposure for the forums, and bring some fresh life into the Touge Union. P.S: If people want, I am not opposed to moving this over to FM4 instead. I know only a hand full of us have the X1 at this time, and regardless, I intend to do the same race on FM4 in the future anyway. I am willing to drop the FM5 race though, and favour the majority on here who still have a 360 and FM4. My aim isnt to leave anyone out if I can help it. Please feel free to give any input you like, I am very open to suggestions. All in all, lets just have some fun in Forza, and have some great racing. I should get my xbox one sometime in the near future so if i have it when this happens I would like to join. I might move it to FM4 yet, all depends on what people think. Just a waiting game now for feedback, and to see if there is enough interest in a race setup like this. If it moves to FM4 though, I might make it into a series of races. If racing starts this month I would totally be down for this! This sounds great, I just got fm5 a few weeks ago, I'd like to see where I stand amongst everyone. Added a poll to decide between fm4 or fm5. If you need ideas for Road cars good for racing I reccomend cars that competed in Group A Touring car racing such as ATCC, BTCC, and DTM. So... Mercedes 190E, BMW M3 E30, Ford Sierra Cosworth, Porsche 911 GT2, Alfa Romeo 155, Nissan Skyline R32 GTR, etc. I personally reccomend the E30 M3 with 400hp so much fun to drive. The e30 is a great choice, very nice car to drive on any racing game. I'd like to be the staff guy for FM5. I'm up for this. I voted FM4 because more of us probably have it than FM5 but either is okay with me. If an FM4 series starts I'll definitely be up for it but I wouldn't be able to participate before January 6 just a heads up but please don't mind me if ya'll wanna start it sooner. If everyone is ok with a wait, we can start the FM4 things off in January. I will still see about organising the FM5 race though, just need to know if anyone else is interested. Seems the forums have gone quiet again as of late lol. I'll pop on FM4 for this, although I may just end up getting to know the sandpits and runoffs around the track. If you add me on Xbox live, I will give you a hand in FM4 on the ring. Will even gift you a circuit tuned car to practice your lines in. Wont be a touge based tune though, will be built and tuned around the principles of real circuit racing, and the rules of this comp. Could you add me? I'm just a little busy getting ready for a final exam this afternoon. Ok, I will find you through Cursed live profile or something lol. Just throwing.this in there to make my entry official. I've finished my final in a blistering 50 minutes and I'll be home at 4PM EST. I'll start up my xbox at 6:15 if anyone else wants to jump on and drive the Ring. Considering a whopping 6 people have voted for this to happen worries me. There's a lot more than just 6 people active on this forum right? Have to say, i am surprised by the lack of interest in this. I thought everyone would be chomping at the bit for a good race series. Hey Ialyrn, just sent off that friend request.